Just as Daryl Hall's rich tenor is perfectly accompanied by John Oates' smooth backing vocals on a solid foundation of rock-soul grooves, this dish is tightly balanced between two stars, either of whom would be a laughingstock if they ever did attempt to Go Solo. 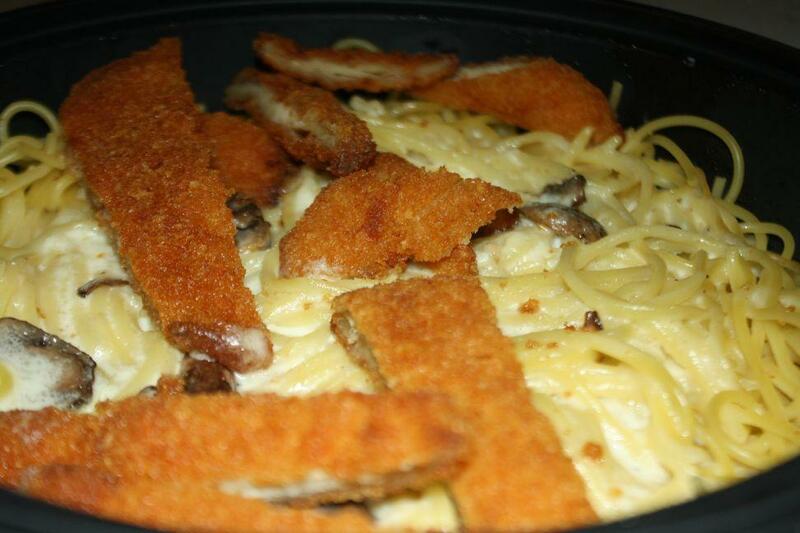 And with Chicken Fritta topping only an additional $3.49, you don't have to be a Rich Girl to appreciate this one! Pictured here is Hall & Oates, Making My Dreams Come True.